Does Drinking Alcohol Really Improve Your Foreign Language Skills? When it comes to attempting to speak my second language (Slovenian, if you’re curious), there are two scenarios that make it much easier: drinking alcohol and speaking to small children (not necessarily at the same time). Now, a new study published in the Journal of Psychopharmacology is confirming what I’ve always suspected: A small amount of alcohol can help you speak a foreign language. Unfortunately, it’s not some potion that magically teaches you new words and correct grammar. It essentially works by lowering your inhibitions. At this point, we’re well aware that alcohol consumption messes with our cognitive and motor functions, so using that logic, it might make sense that drinking would decrease you ability to break out that high school French or college Mandarin. 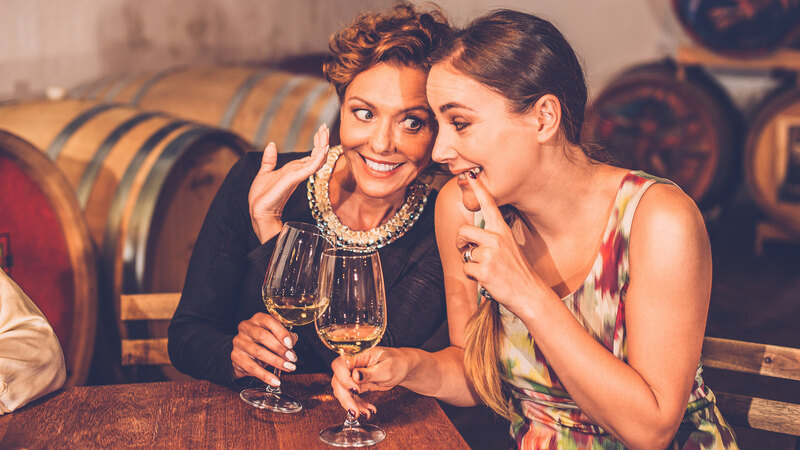 But at the same time, we also know that for some people, alcohol reduces social anxiety and boosts confidence levels, which technically could help you speak your native language too. This research was conducted on native German speakers living in the Netherlands who were studying at a Dutch university and learning to read, write and speak in Dutch. The 50 participants were each given a beverage — some, a low dose of alcohol, while others received a nonalcoholic drink — and had a conversation with a native Dutch speaker, which was recorded and later analyzed by people who weren’t aware whether or not the non-native speaker had consumed alcohol. Turns out, the people who had the low dose of alcohol spoke significantly better than those with the nonalcoholic drink, specifically when it came to pronunciation. But Dr. Fritz Renner, one of the researchers who conducted the study at Maastricht University, pointed out that the positive effects on second-language skills came with a low dose of alcohol, and drinking large amounts might not have the same outcome. Lastly, Dr. Jessica Werthmann, another of the researchers at Maastricht University, cautioned against reading too much into these results until more research is done, suggesting that the anxiety-reducing effect of alcohol may play a major role in any observed language improvement.